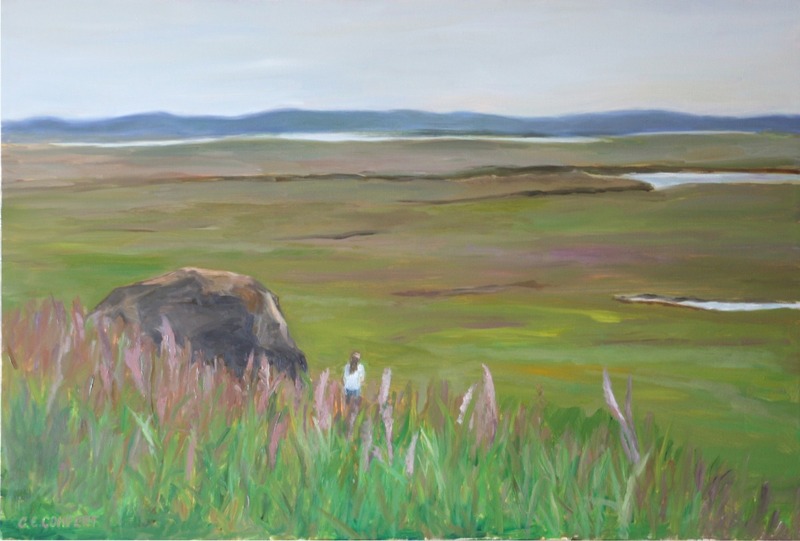 This painting captures the meditative quiet beauty of Nauset Marsh on Cape Cod. A single rock and figure anchors the scene, just like meditation can help anchor our souls and bring peace. This large 20"x30" painting is stretched canvas and painted on all sides (the image continues on the sides). You can hang it as-is or choose to frame it if you like. Either way, it's an impactful piece. "Christina's Boat" is a companion piece to this one.